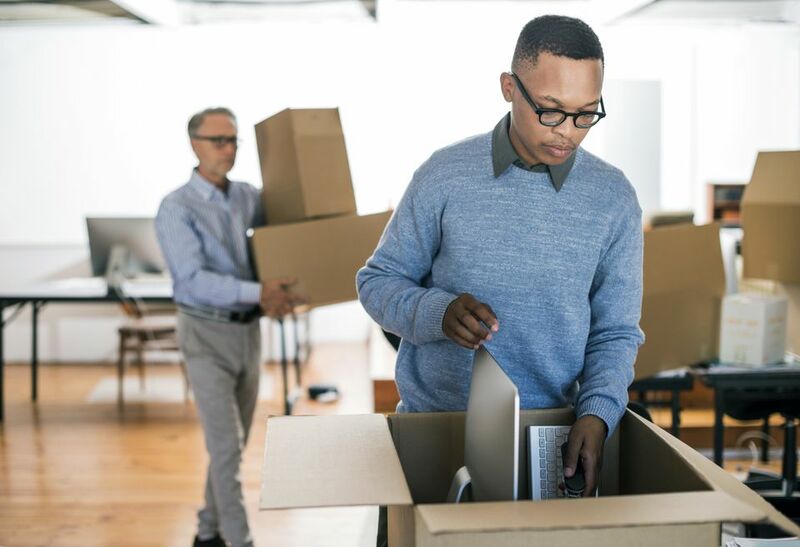 Moving your business to a new office location is a multi-step process that requires careful planning and several preparation steps. As with any large project, it's best to divide the workload and assign specific tasks to different employees. Starting the process early and maintaining open and frequent communication are the keys to a successful, and less stressful, move. Create a timeline that includes all of the essential stages of your move. To ensure the schedule is feasible, discuss the plan with all team members involved with the move. Be realistic about how much time you will need. A small office may need at least three months to prepare, while a medium to large office may need to plan for six to eight months or more. In any case, the key is to start as early as possible. The next step is to collect all available information on the new space. Try to get blueprints or a floor layout so you can identify key components, such as electrical outlets and storage space, and begin designing the new office layout. It is also a good idea to have a general layout plan for your current space so you can compare the two. If there are areas in the current office that are not working, identify them now so that the same problems can be avoided in your new space. In addition, make a list of potential problems with the new space, such as a smaller reception area or less storage capacity, or perhaps a larger open space that requires more cubicles or temporary walls. It may be necessary to hire carpenters, painters, electricians, systems installers, or other professionals to build walls, add wiring, or make cosmetic changes before you move in. For medium to large offices, appoint someone (or ask for volunteers) from each department or division to coordinate their particular area. This may be assigned to the department supervisor or manager who can then ensure that each employee takes responsibility for packing their desk, files, and personal items. For smaller offices, you may be on your own. If so, identify a few key people who may be able to help with coordinating the move. Your team can also assist in identifying current issues with the old space and finding possible solutions for the new office. This is a great way to incorporate other viewpoints and to achieve consensus on the move, especially if some employees are not supportive of the change. In your schedule, set regular meetings to discuss the move and its progress with all employees. It is important to keep everyone informed and to make time to address employee concerns and comments. Moving is stressful for everyone involved and can be more stressful if decisions are not adequately communicated. If you have a specific budget amount assigned for your move, it is important to identify costs before you hire movers, or even before you pack the first box. Have your moving team create a list of tasks that need to be completed, and make sure critical tasks are added to the timeline/schedule. Ask each department manager or supervisor what is required from their area, which may include specialty service providers, such as telephone line installers or computer network specialists. Also make sure that common areas are covered, such as the reception area, lobby, and storage spaces. Hiring movers is one of the most critical tasks of moving a business, and there are moving companies that specialize in office moves. Like any household move, it's important to make sure the company is reliable and that you are receiving the best service for the cost. Do your research, ask the right questions, and have the company come to your office to assess your move. This task can be assigned to one person or group or to a few different people, with each calling specific companies and then comparing notes. In any case, start early to make sure you get the best price and fit for your needs. A contact list helps ensure that everyone you do business with, including suppliers and clients, know that you're moving. It's a good idea to assign this task to one person to oversee to prevent contacts from falling through the cracks. Notifying customers and clients requires specific communications about your new location and how the business will operate during the move. Such information is essential to ensure your customers don't go elsewhere for your services.